Our Sepia Saturday challenge this weekend is a little different. What we are asking you to do is to forget the foreground and look into the background. 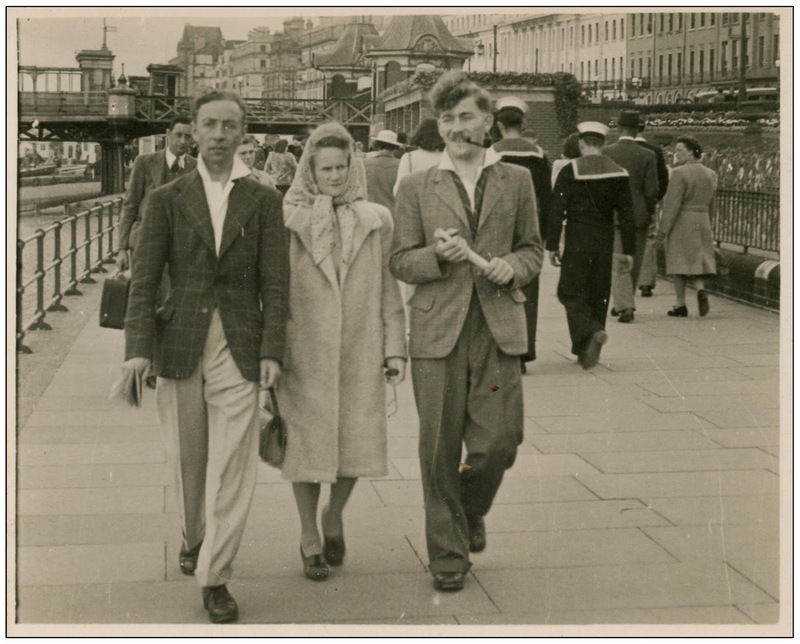 Take, for example, this pedestrian snap of my Uncle Harry, Auntie Annie and Unknown Man. The centre of attention is the three figures walking down some seaside promenade, but the interest in such a shot is probably limited to those fascinated by the everyday history of my family (a small and select group of people). But if your move your focus to the background there is a wealth of interest. 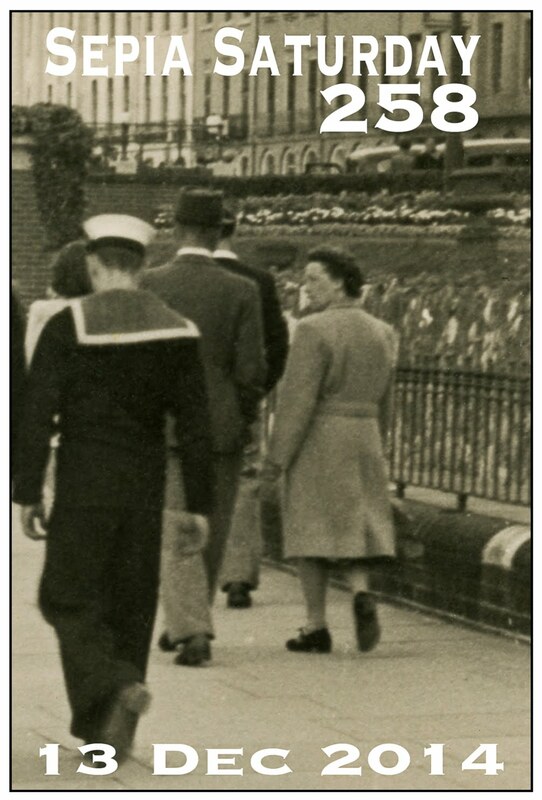 Note the sailor in uniform, suggesting that this might have been a wartime shot. But there are still cast-iron railings on top of the wall and later in the war all such things were taken down and melted to make gun barrels or some such thing. Look at the hats, look at the sensible shoes : there is enough to keep you busy for a whole Sepia Weekend. 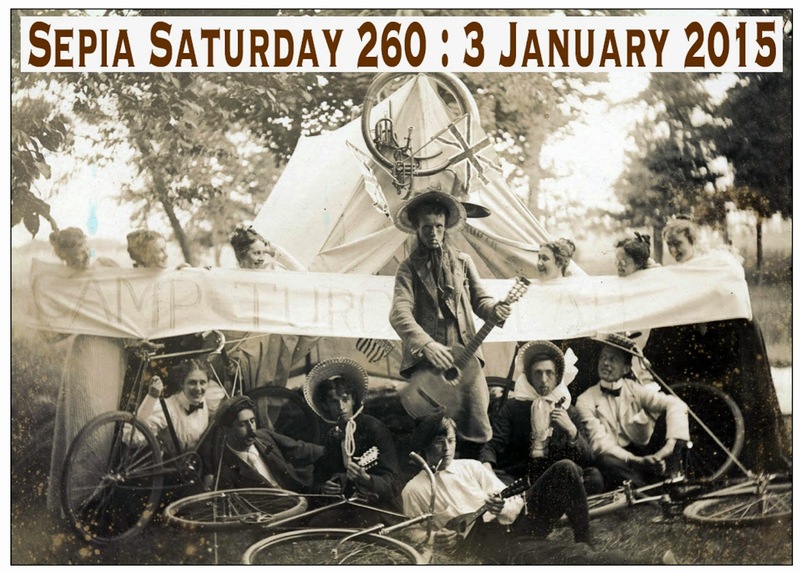 So Sepia Saturday 258 - post your posts on or around Saturday 13 December - gives you the opportunity to look into whatever background you care to investigate. And if you don't want to do that, you can also take up any of the potential themes in the image above. Or you can cast themes aside and simply post any old picture and any new thoughts. The Christmas break is coming up and, by tradition, we just have one Sepia Saturday call over the festive season. Here are details of that call and also the first couple of 2015. 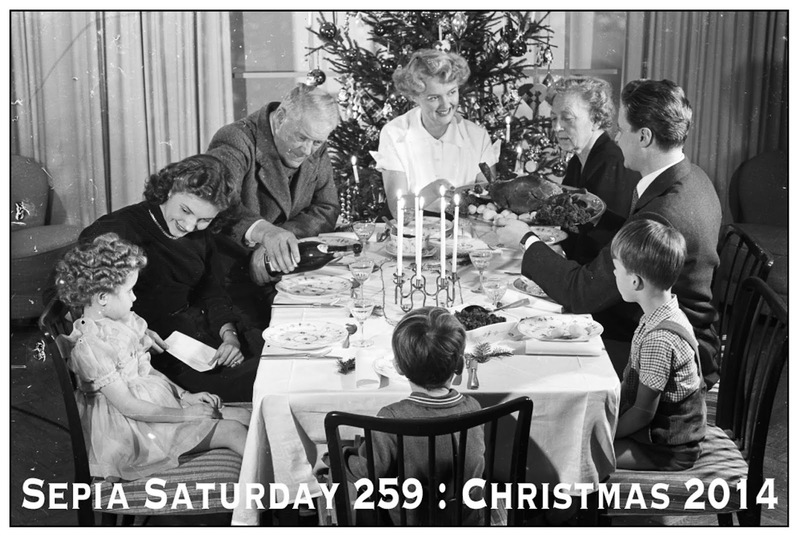 259 : Our traditional Christmas and New Year double-issue gives you families, meals, and - of course - Christmas. So there we are - there is plenty to keep your mind active over the Christmas period. But for now, just keep your eyes to the front and look to the back, and sign up for Sepia Saturday 258 on the Linky List below. Zooming in on Jim and me at the 1966 Black Arts Convention. Some details from a Christmas time street scene. Background is more interesting than the foreground! For this weekend I've got some sailors and a background detail too. Off theme this week, celebrating the Dec 12 day of Tonantzin with Indigenous Americans of Mexico. Thanks for the inspiration image. My post is entitled 'Finely Wrought': Ireland. Cheers! 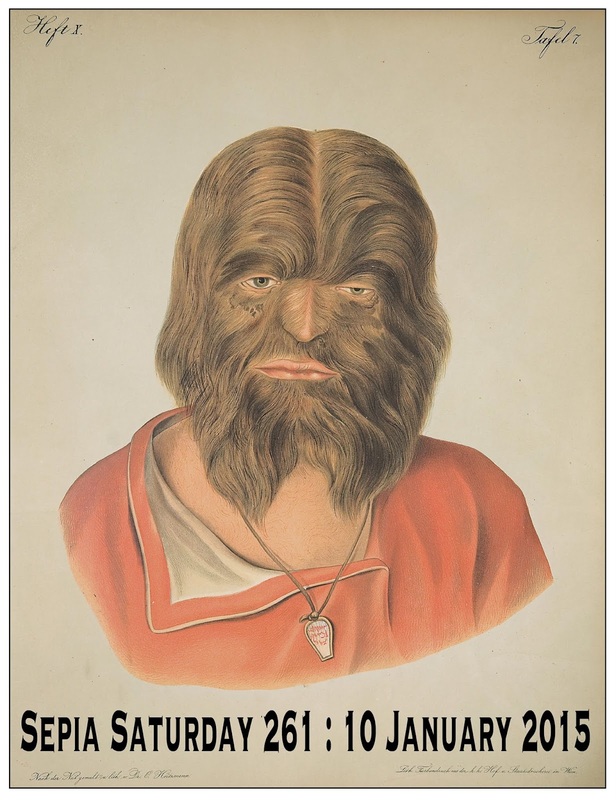 A two-for-one post today when I find images which fit last week's post as well as this week's. 22 minutes late, but who is counting?